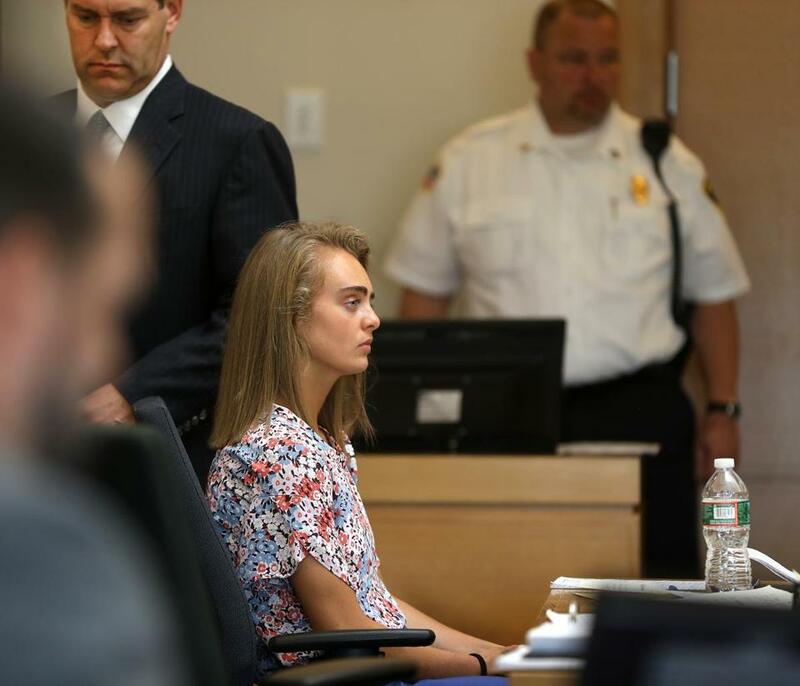 The state’s highest court will hear Michelle Carter’s appeal of her conviction for involuntary manslaughter, setting the stage for the next battle in a wrenching legal drama dealing with mental health, teen suicide, the First Amendment, and the parameters of electronic communication. On Wednesday, the Supreme Judicial Court granted Carter’s request for direct appellate review of her 2017 conviction in the death of 18-year-old Conrad Roy III, according to Trial Court officials. A hearing date had not been set. Carter, now 21, was sentenced to 15 months in jail last summer following a bench trial in juvenile court that focused on text messages she exchanged with Roy in the days and moments before his death in July 2014, urging him to kill himself by any means. She remains free while her appeal is pending. Text messages released in the case show Michelle Carter becoming increasingly aggressive in pressuring Conrad Roy III to commit suicide. Wednesday’s ruling, first reported in the Boston Herald, shifts the case from the Appeals Court to the SJC. From 30 miles away, Carter, then 17, ordered Roy back into a truck that was filling fast with carbon monoxide in a Fairhaven parking lot. Then she listened on her phone as he choked to death on the fumes. Her lawyers argued in last month’s filing that she was improperly convicted of a form of involuntary manslaughter for which she wasn’t indicted. “Although the grand jury found probable cause that Carter’s conduct caused Roy’s death (i.e., she forced him into the truck), the trial judge only found proof beyond a reasonable doubt that she failed to take any action to stop his suicide (i.e., she did not call for help),” her lawyers wrote. A Bristol County prosecutor countered in her Feb. 14 response that the trial judge found Carter guilty on both theories of involuntary manslaughter. “While he discussed the ‘failure to act’ theory at some length, he also found that ‘instructing Mr. Roy to get back in his truck constituted wanton and reckless conduct by Ms. Carter,’ ” Shoshana E. Stern, a Bristol assistant district attorney, wrote in court papers. Carter’s attorneys also argued that her conviction based on words alone penalizes free speech and invites arbitrary enforcement. “Carter is the first defendant to have been convicted of killing a person who took his own life, even though she neither provided the fatal means nor was present when the suicide occurred. Nothing in Massachusetts law made clear to 17-year-old Carter, or anyone else, that such circumstances could constitute involuntary manslaughter,” Carter’s attorneys wrote. Globe correspondent John Hilliard and Jan Ransom, formerly of the Globe staff, contributed to this report. Travis Andersen can be reached at travis.andersen@globe.com.